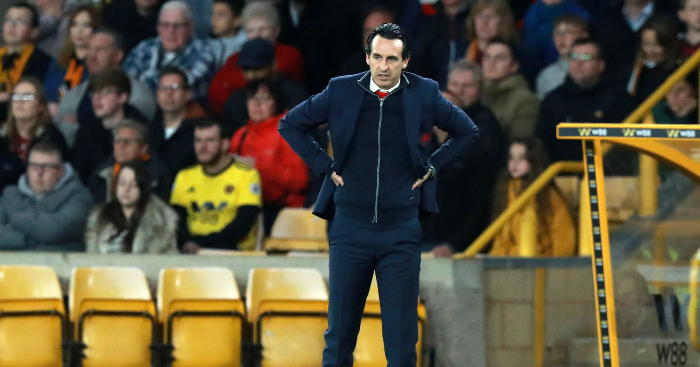 Arsenal can count themselves fortunate to beat Watford on Monday evening and any sort of a repeat performance will see them dumped out of Europe by Napoli. That’s according to BBC Radio 5 Live pundit Chris Sutton, who believes the Gunners were second best – despite having a man advantage for almost 80 minutes – against the Hornets during the visitors’ 1-0 victory. 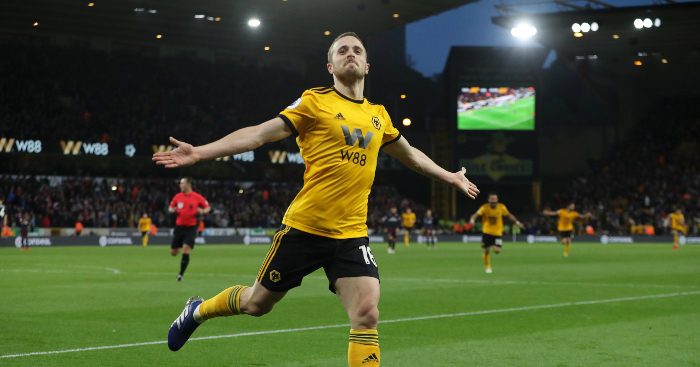 The decisive moment came after just 10 minutes when a rare Ben Foster error gifted Unai Emery’s side the win. 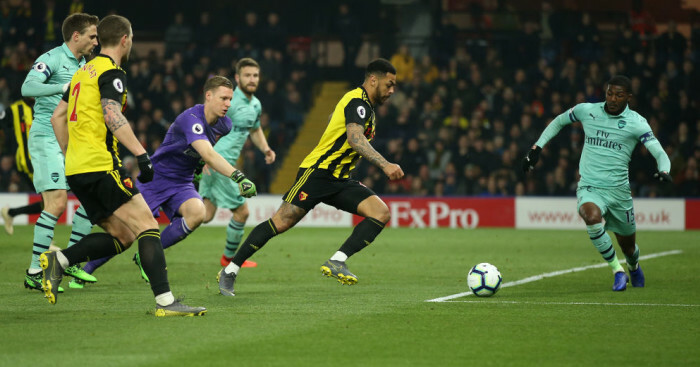 But Watford, despite losing Troy Deeney to a straight red 90 seconds later, carved out a number of decent opportunities and had Arsenal on the ropes for long periods. And Sutton reckons Javi Gracia’s side can consider themselves extremely unfortunate not to take anything from the game. “The best team lost,” he told BBC Radio 5 Live. “It is a huge three points for Arsenal. They didn’t get the performance but they got the result. 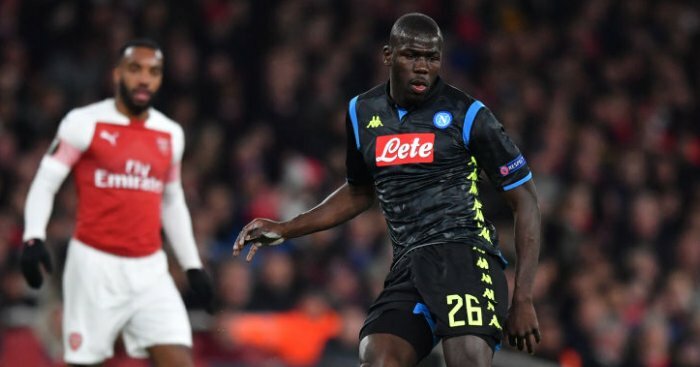 Arsenal face a huge clash against Napoli in the second leg of their Europa League quarter-finals on Thursday night and although the Gunners begin with a 2-0 advantage, Sutton has warned the Gunners any sort of a repeat performance will see them crash out of Europe. “At this stage of the season it is all about results, but Arsenal didn’t deserve this. 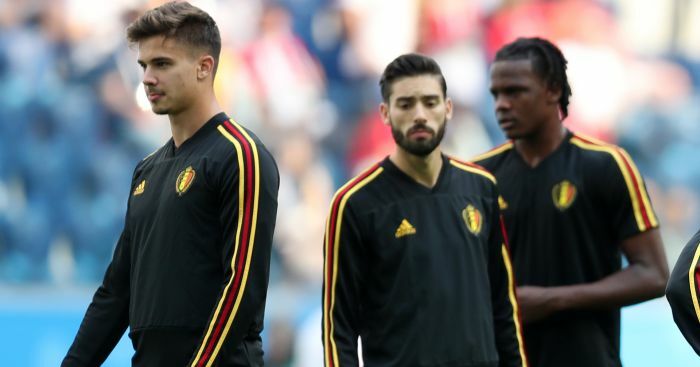 They play like this on Thursday and they are going out of the Europa League.